The economic development of a country depends on various financial units such as corporate units, government unit and household unit. On the basis of performance these units placed in surplus or deficit or balance budget situation. The function of the financial system is to flow the fund from surplus units to deficit units and put them in balance budgetary situation. 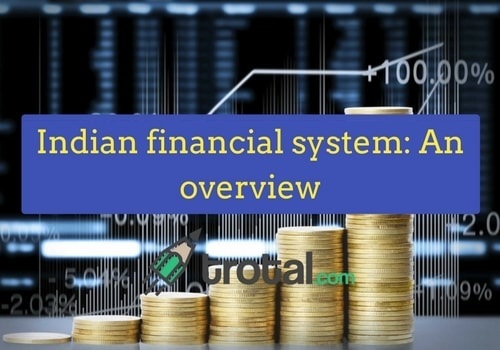 Indian financial system consists of three major factors: financial markets, financial instruments, financial-intermediation. A market in which financial assets are created or transferred is known as a financial market. Creation or transfer of financial assets is involved in a financial market. A payment of the sum of money sometime in future in the form of interest is claimed by a financial asset or a financial instrument. A wholesale debt market with low risk, high liquidity, the short-term instrument is money market. Money markets generally dominated by government, banks and financial institutes. In this market for periods ranging from a single to up to a year, the fund is available. this market is created finance the long-term investments. In this market, the transactions will be taking a period of a year. Forex market is the most developed market in the whole world. It deals with multi-currency requirements, which is met by currency exchange. The transfer of funds is depending on exchange rate. The credit market is designed to finance long-term loan to corporate and individual by banks, FIs and NBFCs. There are two types of financial instruments: Capital market instruments and money market instruments. Call money: If the money is borrowed or lent for very short term period then it is called Call/Notice money. If the lent period is one day then it is called call money and if the lent period is more than a day up to 14days then it is called notice money. No security deposit needed for this transaction. Interbank term money: When money is borrowed or lent for more than 14 days then it is called Inter-bank term money. The entry restriction is same as call/notice money except some specific entities are not allowed to lend more than 14days, as per new regulation. Treasury bill: Treasury bills are IOU of the Union government. It is a short-term borrowing instrument. It is a promissory note, after the expiry of stated date (14/91/182/364days) the government will pay a stated amount to the holder. Certificate of deposits: Certificate of deposits (CD) issued in dematerialised form or promissory note. It is a negotiable money market instrument. Commercial banks except for RRBs and Local area banks (LABs) are allowed to issue a CD. Commercial paper: CP transforming the debt obligation of the issuer into an instrument. It is an unsecured promissory note which negotiable. The maximum maturity period of a CP is 7days. Hybrid instrument: This Capital market instrument has both types of features equity and debenture. Example: Warrants, Convertible debentures etc. After issuing a financial instrument, it should reach the ultimate investor in order to gain the amount. There should be a proper coordination within financial system to ensure such transaction. In this case, there came the financial intermediation. 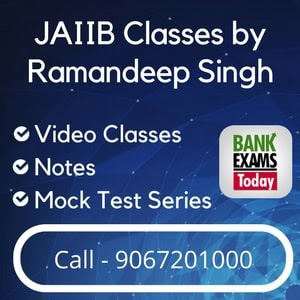 These Financial intermediations are conducted by financial institutions under RBI surveillance.